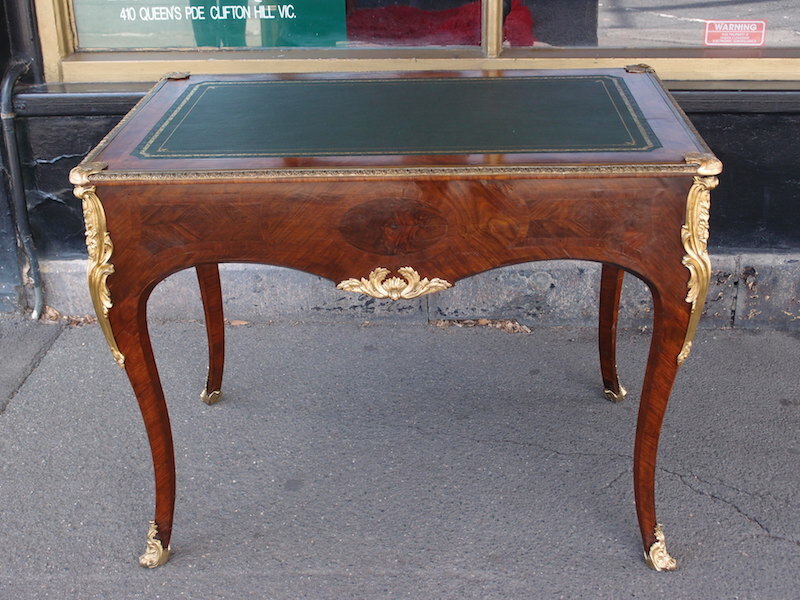 This magnificant Second Empire (1852-1870) Louis XV style desk or bureau plat is richly veneered in figured rosewood, with exceptional bronze mounts. The detailing of the chiselled bronze mounts is impressive.The leather inset writing surface is gold tooled. The top is protected by a bronze band of alternating gadroons and florets. 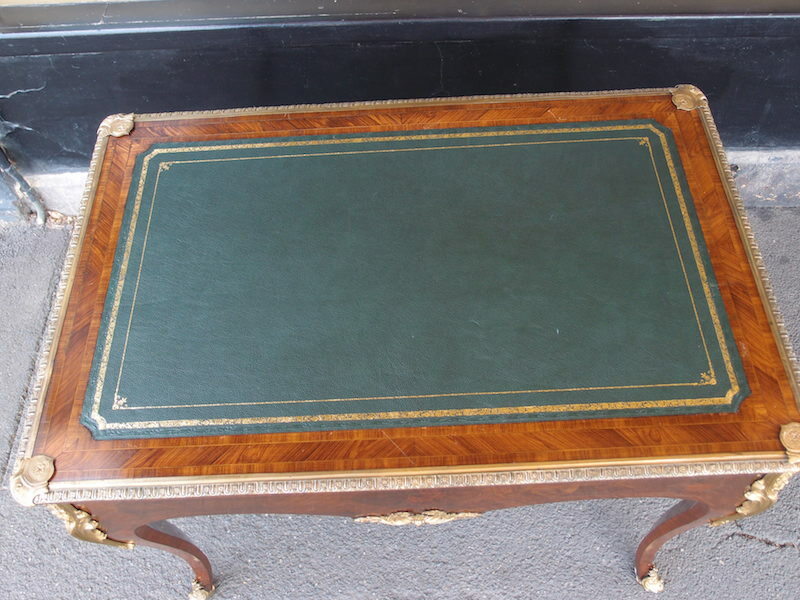 There are no drawers to disturb the lavishly figured parquetry aprons. The distance between floor and lap bronze is 54 cm. It may look delicate, but all the vulnerable spots are protected by bronze sculptures. Perfect foil for a vintage minimal, white, gallery style property, or an enrichment for a contemporary colour and texture filled Maximalist nest. 76 cm tall, and 99cm by 65cm.